Change what you eat and you can change your life. But what if the food that we eat is lacking in vital nutrients? It’s a simple truth: If it isn’t in the soil, it isn’t in your food. If it isn’t in your food, it isn’t in you. When we start to dig, we can start to see how this lack of minerals in our soils has occurred over time. 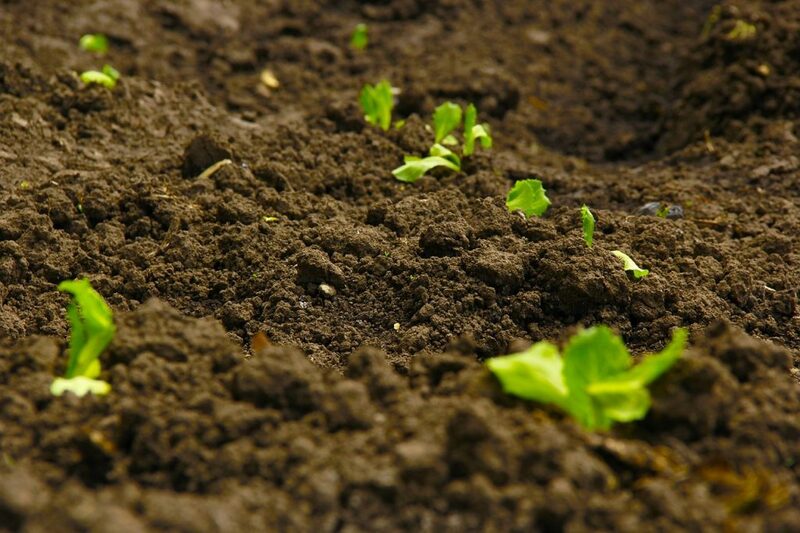 Mineral deficiencies begin right in the soil. If the soil we grow our food in is deficient in minerals, then our food will be as well. The body needs minerals to function. Minerals are essential for optimal health—everything from building strong bones to building hormones, transmitting nerves impulses and even maintaining a normal heartbeat. At the United Nations Conference on Environment and Development in 1992, it was revealed in the Earth Summit Report that over the past 100 years farmlands in North America, South America, Asia, Africa, Europe, and Australia have become mineral depleted on an alarming scale. While Australia’s farms showed the least depletion, with a 55 percent reduction in mineral content, America’s farm and rangeland showed the greatest amount, with a startling average mineral depletion of 85 percent. Crops grown in soils stripped of essential minerals produce foods that are lacking in essential micronutrients. So what’s the answer? It all comes back to the soil. The key to healthier mineral- and nutrient-dense fruits and vegetables is healthier soils. Alternating fields between growing seasons, eliminating pesticides and fertilizers and using organic growing methods is an excellent start. Examples of organic farming practices include using natural fertilizers to feed soil and plants and using crop rotation or mulch to manage weeds. For those who want to get the most mineral and nutrient dense food possible, it’s best to buy from local organic farmers. Many cities now have farmer’s markets on the weekends. During the summer months when local organic produce is plentiful, buy extra and freeze for the winter months. I also encourage people to start growing their own vegetables. Even if you live in an apartment, you can create a container garden using organic methods to grow your own fresh herbs, tomatoes and even lettuce. Choose local organic whenever possible and remember to support the local farmers that use organic farming methods that give back to the soil. One of the best ways to get adequate vitamins and minerals is to eat sources of these nutrients in your everyday meals. One of my favourite ways to get enough of the important mineral iron in is by eating kale. Low iron is common in people who do not eat enough iron-rich foods, have absorption problems from celiac disease or use antacids. Low iron is the most common nutritional deficiency in North America. According to figures from the Centers for Disease Control and Prevention almost 10 percent of women are iron deficient. When low in iron, you will feel exhausted, have difficulty concentrating, feel short of breath and have sores on your tongue. Your iron needs increase if you menstruate heavily, are pregnant, are breastfeeding or exercise vigorously. Ounce per ounce, kale has more iron than beef. Kale is king for increasing this important mineral. 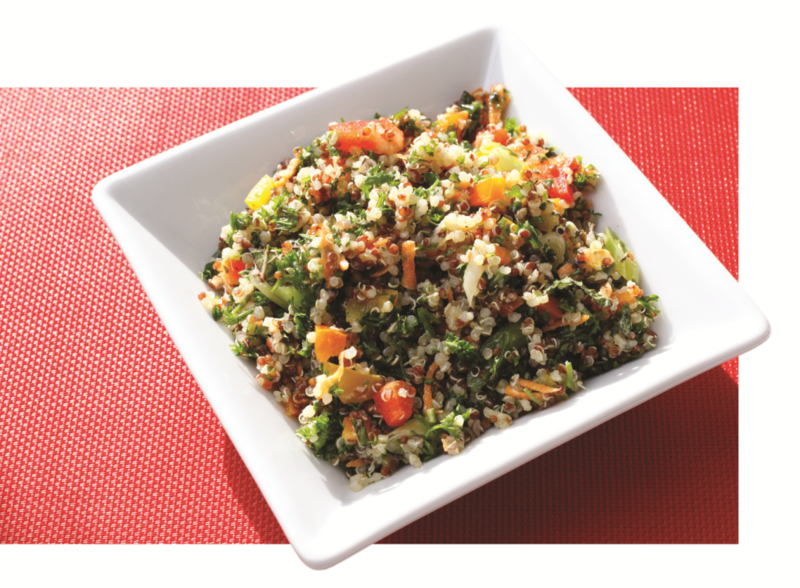 Enjoy the kabbouleh salad recipe below as a delicious way to increase your intake of iron. Combine all of the ingredients above and stir gently. TIP: To make the kale even more tender, place chopped kale in a bowl and drizzle with ½ tsp of olive oil and ¼ tsp of sea salt. Massage oil and salt into kale leaves and allow to sit while you prep the salad. 7 foods that help you shed the pounds and keep it off!